Today’s item is one that I needed for my smallish light box. I had some makeshift connections when building it, including one with a fixed 65 W (original!) Lenovo laptop power supply who unfortunately had a loose power plug. When I finally had three illuminated sides up (with the stuff from WHL #7), I knew I needed to step up to 90 W or even 135 W power supplies for full brightness. But this time, I wanted a detachable power plug, especially to not kill the power supplies for normal use, but also for convenience (the box is quite large and the supply is too heavy to attach it somewhere). First off, the DC jack. 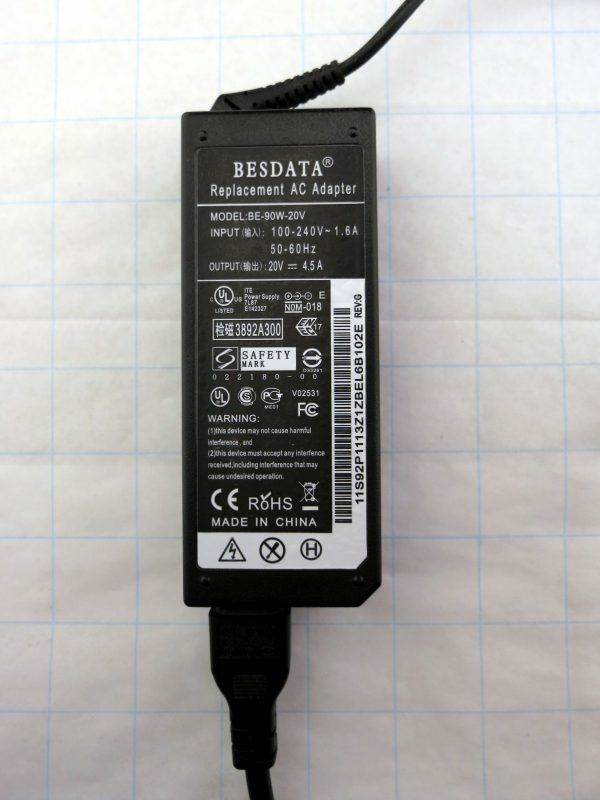 This unit is intended as a replacement for faulty jacks, and I just picked the cheapest one that fits the round large Lenovo plug found in the older T, R, SL, Z and some more series before they changed to the lower profile rectangular type. 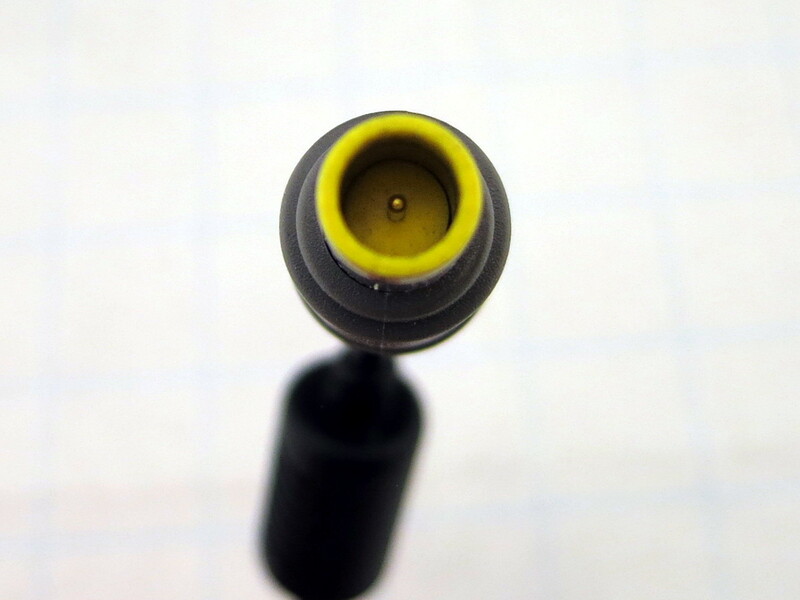 Side note: I do use a fully upgraded T400 for daily work, my brother has a R400 (I migrated him away from a SL500), my aunt has a Z60 and a R61, and they all share this large yellow DC jack. 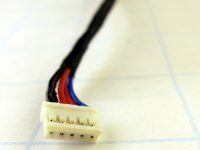 Turns out the one for the SL400 was the cheapest new one from inside the EU, and as I do not need the connector but just chop the ends off and put them in a terminal connector, that’s fine. 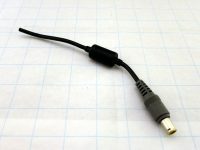 It’s not quite ideal as this type has two leads for (+) and (-), but makes sense for the small connectors that cannot carry that much current per pin. So I fiddled them together, isolated the other stuff that is apparently there for grounding the chassis and detection if something is plugged in, and I’m good to go. 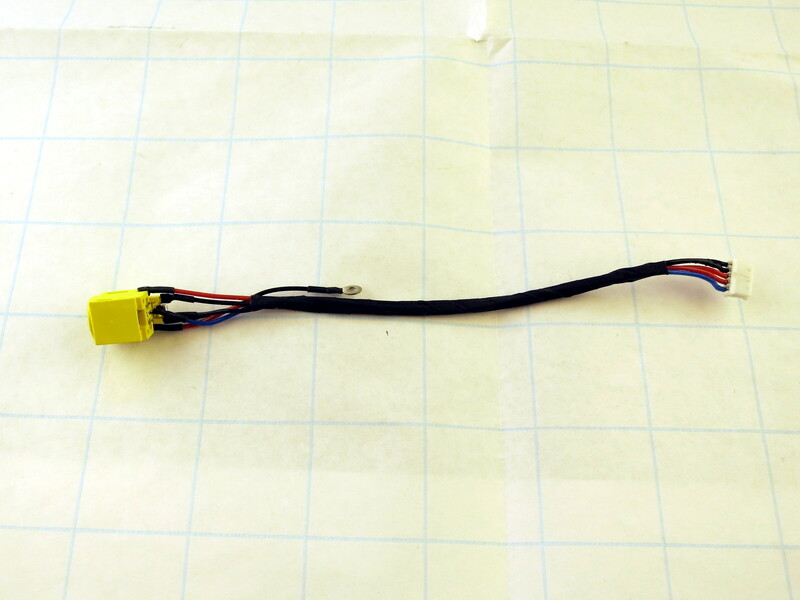 As this is not an original Lenovo part, I wondered about the voltage drop under load. After all, the SL400 like many other types of that age can be running a 35 W TDP CPU, onboard+dedicated GPU (~15 W), power-hungry CCFL (good thing I have an LED), dual hard disks and if you run that machine under full load AND charge your battery at the same time, 90 W power consumption is within reach. 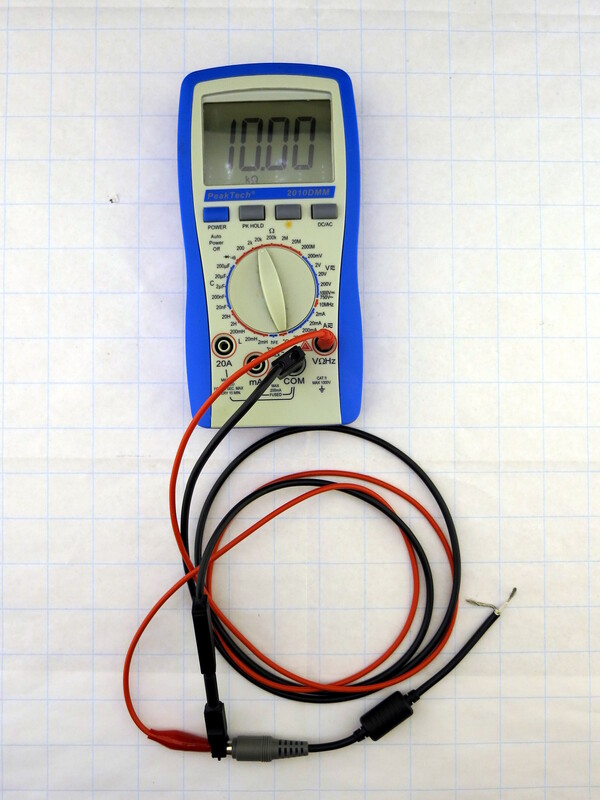 So when I finished wiring the DC-DC converter to the LED strips, I measured the voltage at the power jack itself (fiddly…) and at the terminals of the converter, fully capturing the voltage drop across the thin but paralleled wires and the plug itself. 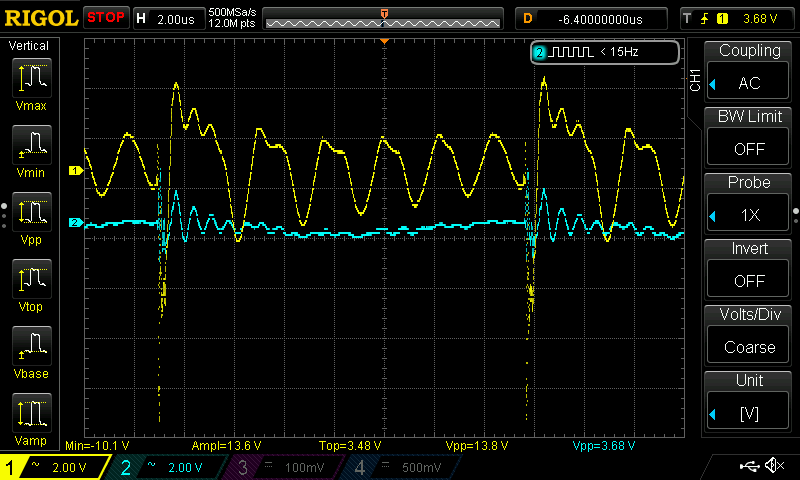 At 3.73 Amps, this was 19.82 V to 19.71 V, meaning that at 74 W load the DC jack eats about 0.4 Watts because of a resistance of 30 mOhms. Next, the power plug from the original Lenovo power supply. 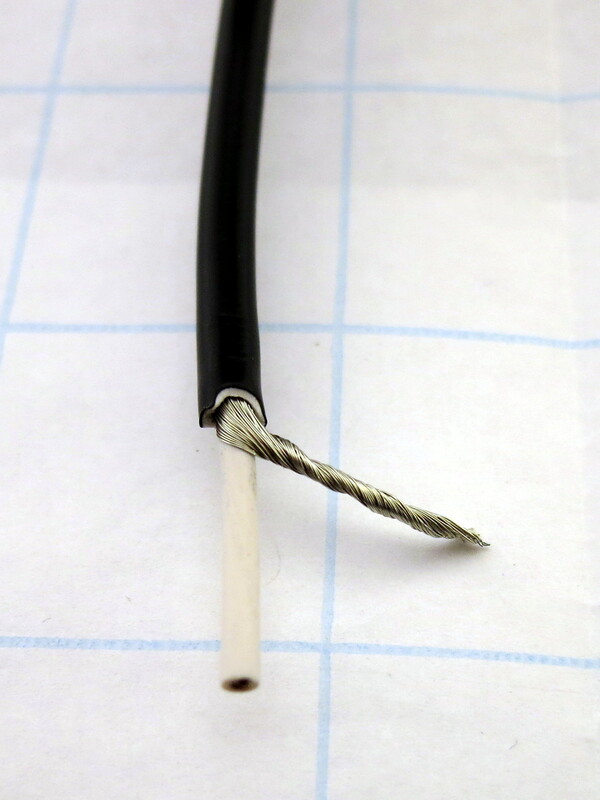 As I said, it had a loose connection and so I chopped it off anyway. I couldn’t even show measurement on the last picture when connecting the blank wire, as the ground (outer layer) seems completely interrupted. 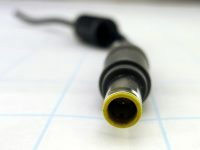 But starting from the outside first: This is the well-known plug with the larger dimensions than usual DC jacks (7.5-7.9 mm outer / 5.6mm inner diameter, 0.8mm pin size). 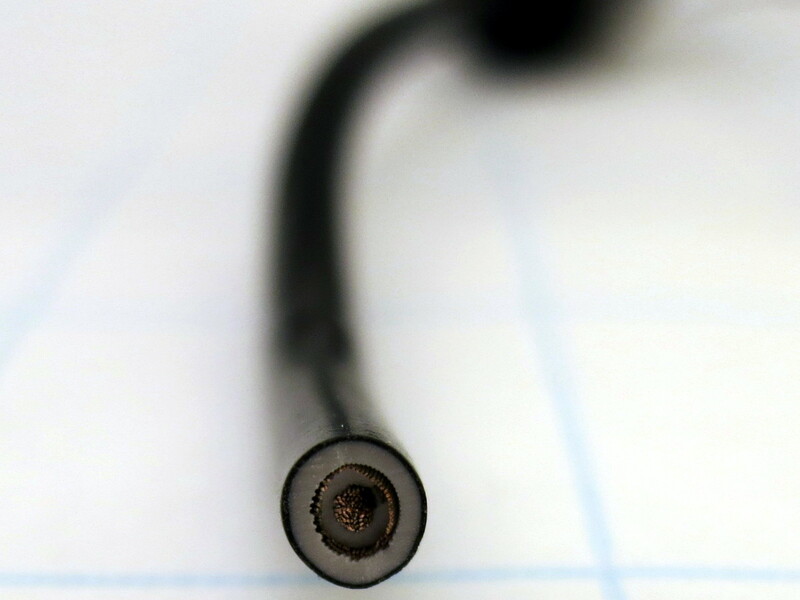 The cable says it’s made by Foxconn and has 18 AWG in it – bloody Yanks, that’s about 0.82 mm². It is not made as a pair of wires but rather like a coaxial cable. 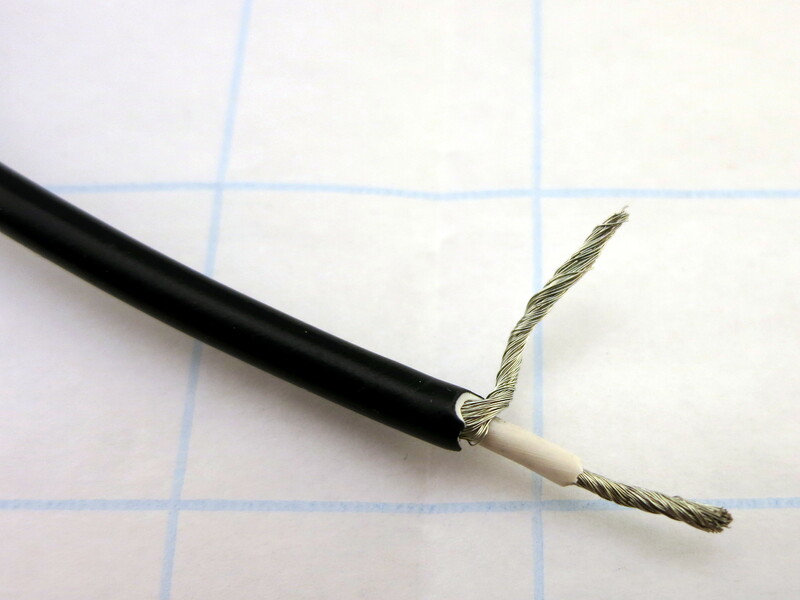 When stripped once, the outer layer clearly is twisted around the inner isolation. 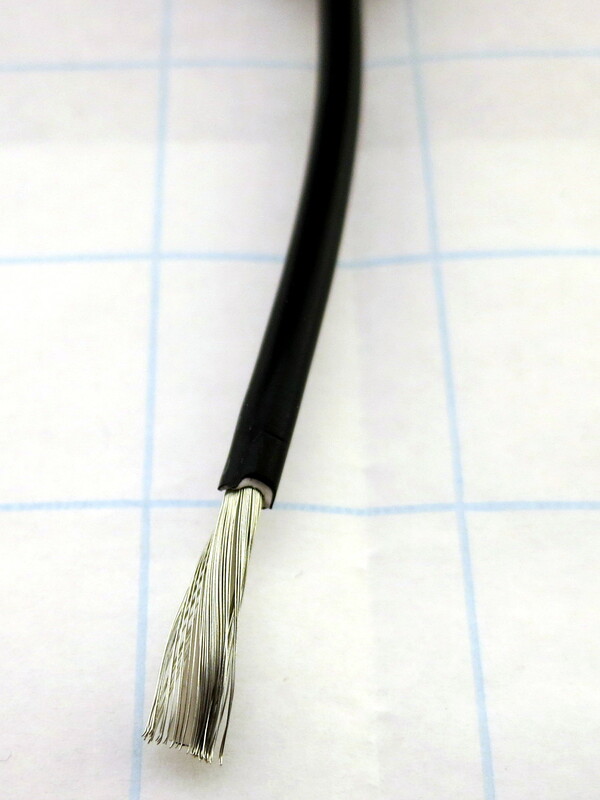 One can see the total diameter of that stranded wire in the last picture, and this could in fact be 0.8 mm². According to the ThinkWikis, 90 W supplies do not have such a connection between the two. 135 W supplies have a short instead, and the rare 170 W types feature 1.5 kOhm. I cannot verify these numbers as I do not have 135 W and 170 W at all, and my fake 90 W shows unstable readings, just like a tiny capacitor has been added. 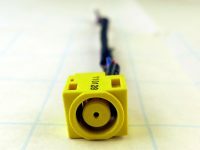 But from these pictures it is clear that this is just a passive plug-side thing, and no monkey business with one-wire protocols or the like to lock out unlicensed power supplies is going on. So if you want or need to mod power supplies, go ahead. 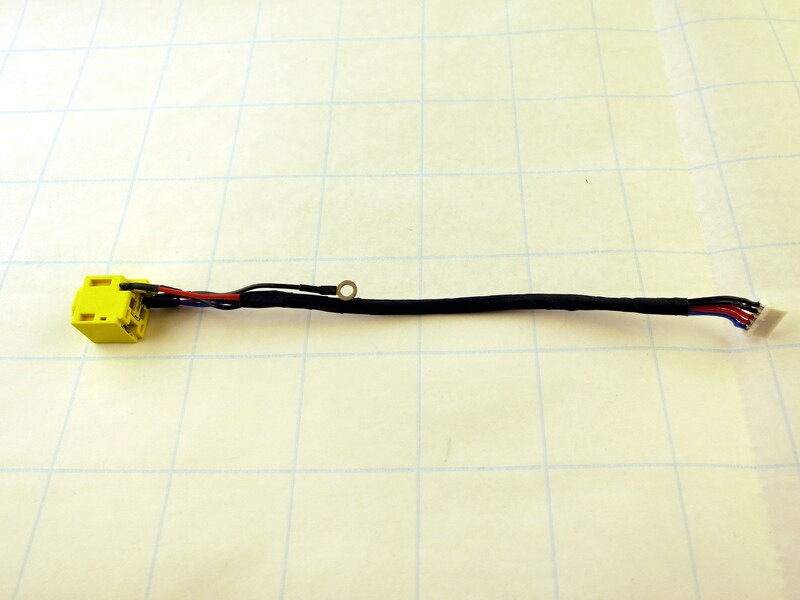 Third topic today: The fake 90 W supply. This data is from back when I received it, bundled with the R400 for my brother. I expected a genuine one and so I compared it to the now chopped-off one with my Rigol DS1054Z. This was performed without load, and as usual, it doesn’t get better with load applied. Well, what a heap of dog turd. Finest Wan Hung Lo quality with huge 3 Vpp ripple and massive 14 Vpp spikes once the cap runs of out juice (that’s a 20 volt DC power supply!). For comparison, the genuine one has short of 4 Vpp spikes and tiny ripples once the oscillation after each cap refresh cycle calms down.